Jones presents an astute, well-informed, and balanced analysis of the philosophy, history, and future of socially relevant Buddhism. At a time when clear social action is needed more than ever, The New Social Face of Buddhism is vital reading for activists, scholars and everyone seeking to transform their spiritual practice into a force for social, political, and global change. A groundbreaking work, Jones's book is a wellspring of inspiration that should not be missed. Ken Jones is a Zen and Ch'an practitioner and teacher of thirty years' standing. His career has been mainly in higher education, with most of his spare time spent as a peace, ecology and social justice activist, as well as a period on the Samaritans' telephone helpline. He is a founder of the UK Network of Engaged Buddhists, and now its president, and a member of the International Advisory Committee of the Buddhist Peace Fellowship Jones has facilitated numerous workshops and retreats on different aspects of Buddhism, but focusing particularly on "Everyday Buddhism". He has published widely, his best known book being The New Social Face of Buddhism (Wisdom Publications, 2003). A widely published haiku poet, he has been awarded the Sasakawa prize for his contribution in that field. He now homesteads in his native Wales, with his Irish wife Noragh. "Jones's original Social Face of Buddhism, published in 1989, came just in time to encourage many of us who were searching for the point were Buddhism and social action meet. The book was a beacon and we turned to it eagerly. Jones has now thoroughly re-written this work, as The New Social Face of Buddhism. We are lucky to have this new tool in our hands. The writing here is more fluid, and thus this volume is easier reading for an audience of Buddhists and fellow- travelers. We must do the socially engaged work that Jones writes about." "Jones makes a compelling and humane case that the well-being of the individual and the well-being of society simply can not be separated. All the topics for putting your compassion into action are here." "An excellent, necessary book. It reads as a complement to David Loy's The Great Awakening, where a shared Buddhist social theory is converted into a call to action. Jones skillfully links meditation and spiritual awakening--opening the third eye--to opening the 'fourth eye' of social awareness." "Ken Jones has given us an inspiring, challenging handbook for Buddhist social activism. In such practice lies hope for the world." "This inspiring book points the way to a revolution in contemporary spirituality." "One of the first truly important books to rise out of the liberal Buddhist movement." 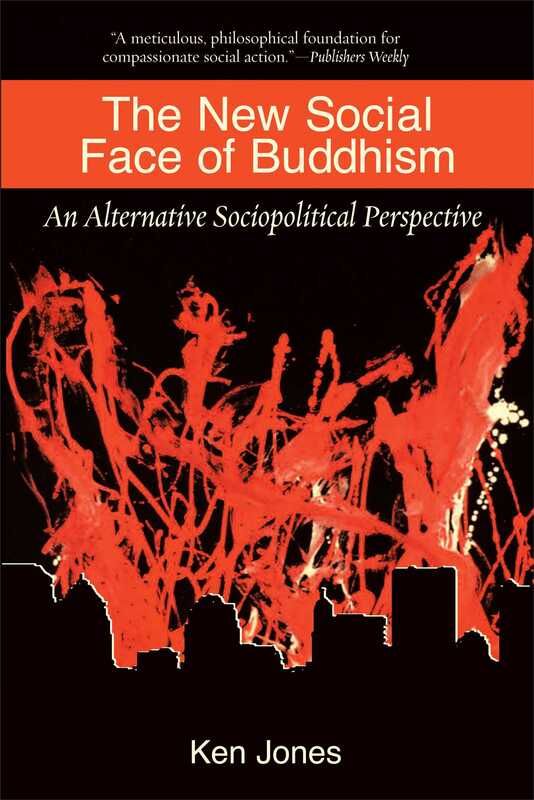 "In this substantially revised update of his Social Face of Buddhism, Jones argues that Buddhism has powerful, practical implications for profound social change. This is a meticulous, philosophical foundation for compassionate social action and a clear, attentive, thorough explication of the social-action implications of Buddhist thought."